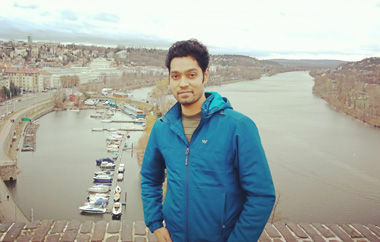 Rama Kant Dubey is a PhD student in Environmental Science and Technology at Banaras Hindu University in India. 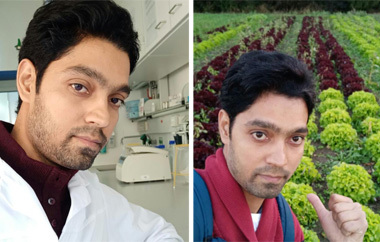 He received the Green Talents award in 2017 and conducted his three-month research stay under the supervision of Prof Michael Schloter at Helmholtz Zentrum München, German Research Center for Environmental Health, Neuherberg. My three months of research stay in Germany as being one of the recipients of the highly prestigious Green Talents Award 2017 was an amazing learning experience and immensely contributed towards enhancing my research capabilities. 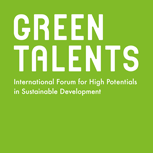 I am highly obliged to the Green Talents Science Forum 2017 for offering me this great opportunity to interact with fellows and like-minded young researchers working in different dimensions of sustainability science which is crucial for tackling the burgeoning pressures on the planet’s bio-physical systems and providing a sustaining habitat for future generations. During the two-week science forum program I met three eminent scientific experts working in the field of sustainable soil management. I selected Helmholtz Zentrum München, German Research Center for Environmental Health, Neuherberg, for guiding my research stay. Helmholtz Zentrum München had excellent research amenities with rich expertise in the realms of human and environmental health. The research group at my host institute welcomed me with open arms allowing me to work with the existing facilities with immense co-operation provided by the administrative and technical staff. Working with them was an enriching experience and helped me further my research interests in the areas of sustainable soil management. Most of the fellow researchers and the support staff were very systematic, punctual and focused towards their research aim and other objectives. Besides, even the senior supervisors and postdoctoral fellows were highly encouraging and receptive towards my work, always ready to engage in discussions promoting a healthy work environment. Their valuable feedback was extremely beneficial since most of them represent various research interests with different working approaches. Discussions with them stimulated my thinking prowess and offered me alternative perspectives for my research. While working on my research proposal, I was invited to present my research work among peer researchers and to deliver my research findings in research group meetings. Work carried out during my research stay can help unravel the precious microbial black box and confirm the correlation among plant microbiome with soil quality, crop health and productivity. Our research findings also hold the potential to address multiple problems of degrading soil quality, falling crop productivity and loss of nutritional quality in food crops along with improved agroecosystems services and human health. Meeting these aforesaid targets will also help in meeting the United Nations Sustainable Development Goals (SDGs), particularly Goal 1 (no poverty), Goal 2 (zero hunger), Goal 3 (good-health and well-being) as well as Goal 13 (climate change) and Goal 15 (life on land). Apart from my research project I also had valuable interactions with many of the scientific experts working in the Max Planck Institute for Plant Breeding Research, Technical University of Munich and University of Bonn, University of Hohenheim and University of Kassel. These intellectual discussions enhanced my knowledge about the German research landscape and the scientific community and I found it to be an extremely praiseworthy country for research. In the near future, as a part of postdoctoral research, I would surely try my best to continue my research with the German experts. I hope I will surely get a chance to work with them. My host institute was very close to Munich, and the natural landscape around Munich city was breath-taking. Apart from work I also enjoyed the Oktoberfest and visited some museums highlighting the Bavarian culture, ancient sculptures as well as modern technologies. Lastly, I would like to extend my profound gratitude and appreciation to the Green Talents team and the German Federal Ministry of Education and Research who are responsible for initiating and successfully running this excellent research program in order to recognise novel research being undertaken to address various targets of sustainable development as well as to generate awareness about the SDGs among the scientific community. My Green Talents research stay provided me with a wonderful platform to develop insights into my research topic and, besides, providing me with an amazing cultural exposure. I am highly grateful to my host institution and supervisors Prof. Michael Schloter and Dr Viviane Radle for their extremely valuable support and scientific inputs throughout my research stay. Along with my host supervisors, I am also working on some research publications for enhancing the global readability of my research work done during the stay. I will surely take this opportunity forward to build an everlasting collaboration with my host supervisors as well as with other German scientific experts. Read more about Rama Kant Dubey.